Orchard Workshops. Electric Gates Yorkshire. Installation, Maintenance, Servicing and Repairs in Doncaster, South Yorks. 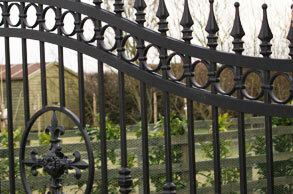 Orchard Workshops are manufacturers and installers of high quality wrought iron and timber electric gates. We manufacture in-house bespoke custom designed gates, which are completely unique and individually designed per customer. We only work with high quality materials and automation products. The gates we create and install are prestige, high quality, bespoke, custom and hand crafted. The automation systems aren't "do it yourself kits" you can purchase over the internet, they are the top of the range systems which are robust and will last for years. With options of intercoms, remote control key fobs, electric sliding or swinging gates and matching wrought iron railings around your property perimeter - you cannot find an automated gate company with as much attention to detail and quality as Orchard Workshops. We also offer service and repairs to existing electric gates or automation systems - Whether we've installed them or not. Have a look through our gallery at some of our previous work, find out more about Orchard Workshops and what we can do for you. If you would like a quotation for automated gate manufacture and installation contact us to find out your available options. Over 20 years of experience in gate & entrance installations. 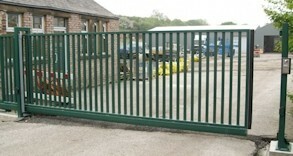 We manufacturer our own high quality gates. We use materials that will last for many years. Bespoke gate and entrance designs just for you. We can also manufacture matching railings. 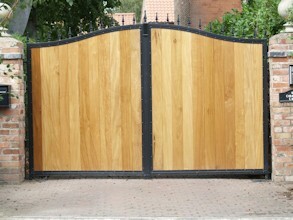 As well as steel, we also manufacture high quality timber gates. 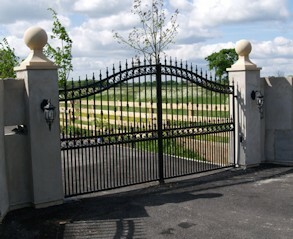 We have worked on many properties matching the gates we manufacture to the location and existing architecture. Orchard Workshops have even worked on listed properties installing gate automation in keeping with listed guidelines. For our wooden gates, only the best materials are used, ensuring that they are very strong. Orchard Workshop can also install commercial security gates, barriers and bollards, making business areas and car parks secure. On residential properties we can add intercoms (even with built in cameras) and remote key fobs to make your property boundaries as secure as it can get. We can also service and repair existing gates and gate automation. 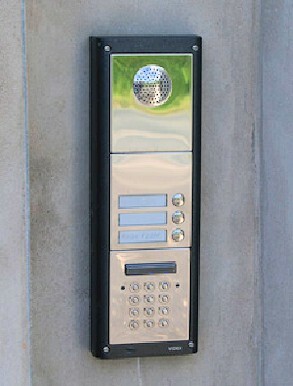 Just give us a call to arrange a quote for your specific gate and automation requirements.